A little secret of the trade: We get a ton of inspiration from online reviews and comments, especially when we're sleuthing the best up-and-coming products we need to have on our radar. With all the great products that land on our desks, it can be difficult to try them all—tough life, we know—and it's always good to see an item get a vote of confidence from beauty junkies like ourselves, not to mention the tips and recommendations that often accompany those reviews. But of all the e-commerce sites we frequent, few rival Birchbox. Between its savvy beauty buyers—who are committed to hunting down the very best, often lesser-known products and brands—and the website's active and extremely knowledgeable community of customers, it's almost challenging to click away without adding at least half a dozen items to our virtual shopping carts. When beauty is your day job, it's always refreshing when the roles are reversed and you feel like you're learning rather than teaching for a change. And when you purchase a product with 116,000 four-and-a-half-star reviews, you can feel pretty confident it's going to work, right? It was with this in mind that we decided to hunt down those lesser-known all-stars: the products that boast thousands of stellar reviews but might not yet be on the radars of even the staunchest beauty fans. So go ahead: Add to cart, add to cart, add to cart. This Birchbox-exclusive brand already has a winner with its incredible detangler (more on that below), but that throne might be in jeopardy with its newest launch: This lightweight oil adds shine (not grease!) and helps protect strands from UV rays, heat styling, and other culprits. Plus, it's recommended for all hair types—even fine hair that's oil-prone to begin with. Finally, two words: That. Smell. "This stuff. Wow. My hair dresser commented on how much thicker and less damaged the ends of my hair feel after using this since my last haircut. She didn't have to cut as much off!" "My hair is fine, curly, and dry. Yeah, I'm cursed. This really nourished my hair without making it greasy or weighing it down." "I have stick straight, fine hair that gets weighed down & looks greasy from EVERY product I've tried, except this one. This really softened my hair, and made it easy to comb through until the next wash."
Even if you're trying to cut back on your daily coffee habit, don't let your eyes go without a regular dose of caffeine: It's actually a surefire way to perk that delicate skin up and banish dark circles and puffiness. And the brand name gives it away: This formula is made with 100% natural and organic ingredients. "I truly noticed a difference in my under eyes after using this stuff. It smells amazing and goes on easily!" "This cream is smooth and applies easily and it may be my imagination, but I lose any eye puffiness within minutes of applying it. The smell of coffee is enough to wake me up anyway. This has become my one and only eye cream." 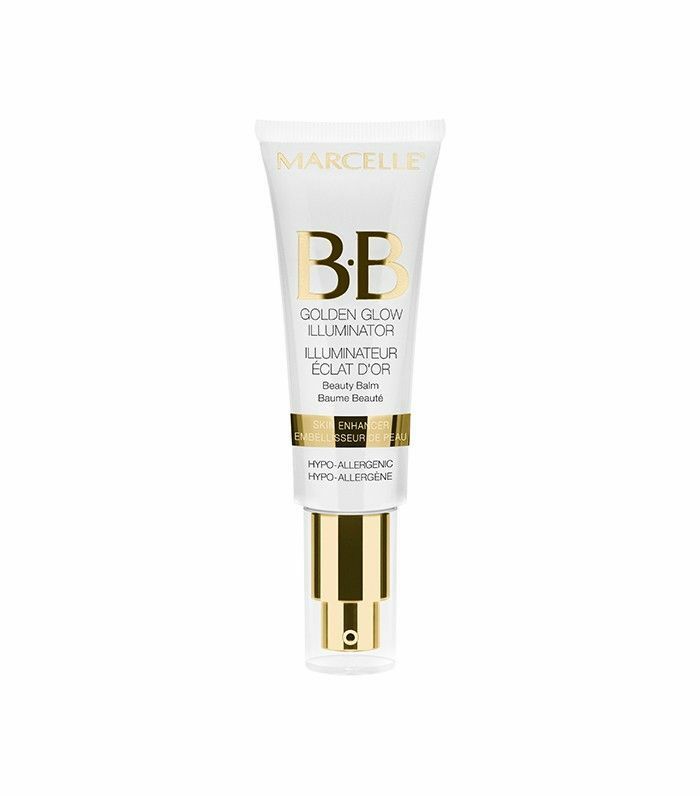 "It's the only eye cream I've tried that doesn't irritate the skin around my eyes ever. It's really creamY and rich and soaks in fast. While I don't have puffy eyes naturally, I have noticed my dark circles are lighter and less prominent than before." We get it: Even though sun protection is a non-negotiable, it can be really off-putting when a formula is so greasy. It makes your complexion feel dirty (and thus causes your makeup to slide off). Enter this godsend of a product, which provides the hefty dose of SPF your skin needs and has a velvety finish that keeps your face on lock. Plus, it's tinted ever so slightly, so you might even be able to skip foundation. "I have a face that tends to get very oily and greasy in my T-zone area. Once I tried this, I fell in love! The smoothness of this product is outstanding, and it gives my face the perfect layer of finish before putting my makeup on." "The matte finish is great and it feels wonderful on your skin—no suncreen-y/lotion-y/slimy stuff. The tint is very faint but it does the trick if you don't feel like putting makeup on afterwards." "I put this on in the morning when I am in a rush for work in place of my foundation and powder. I feel [like] the matte tint leaves my skin looking fresh." Everyone wants a dewy glow these days, which makes the competition fierce in the highlighter market. But this BB formula is a true standout, probably because it does so much more than just highlight: It also blurs imperfections, hydrates and soothes skin, and keeps shine at bay. Well, except for the lit-from-within radiance you're looking for. "I love this BB cream. i felt like J.Lo when I had it on. It was so beautiful it did have a dewy effect which I do not like usually but I loved this!" "I loved this! I actually had compliments that I was glowing at work when I wore it. it feels like nothing is on your face and I loved that it didn't make my skin oily or feel nasty by the end of the night." "It really gives you the 'your skin, but better' appearance." You could shell out for a facial, or you could just uncover a more luminous complexion in minutes with this at-home peel. It's acid-free, making it more gentle on skin, but that doesn't make it any less effective: The unique gel formula binds with dead skin cells, so that when you rinse the peel away, that unnecessary gunk goes along with it. "Most products promise results after a few weeks of use—this product delivers the very first time you use it. I have issues with occasional breakouts and uneven skin tone. 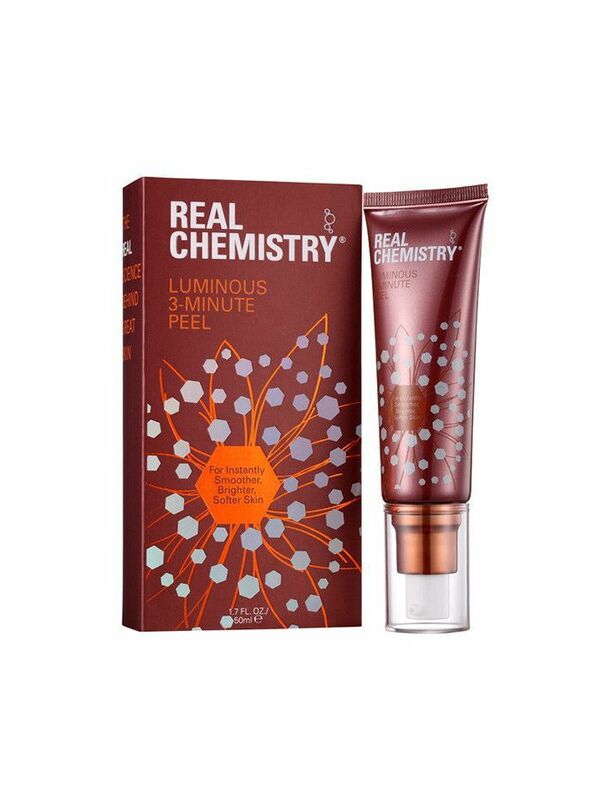 Since I started using the Real Chemistry peel, I simply don't have those issues anymore. My friends and family literally stop me and say, "What did you have done? You skin is glowy and amazing…"
"I wasn't expecting much from this product, so I was really amazed at the results. You are able to feel and see the dead skin leave your face. The best part for me is it is helping to diminish my countless freckles! Love this product!" "This product is my go-to if I need a fast-working face rescuer. Literally in one use, my face appears more even colored and feels so healthy, hydrated, and smooth." A beauty editor favorite for its intoxicating smell and residue-less finish, this dry shampoo promises bouncy, blowout-worthy locks—and seriously delivers, even on the dirtiest of strands. "This product smells amazing, leaves barely any white cast, and leaves my hair feeling healthy and clean." "This dry shampoo smells great, and doesn't leave a gross residue or a flaky nightmare in your hair. Makes it shiny, too!" "This dry shampoo is definitely one of my favorites! Works so much better than any dry shampoo I've ever bought. Does wonders for my oily hair, and the smell alone is AMAZING!" There really isn't anything quite like this detangler—something to which the Birchbox community can certainly attest, considering it's been the top-selling product on the site for years. For starters, the smell: It's like the most lovely, squeaky-clean shampoo scent, multiplied by the umpteenth power. But where is it really shines is well, shine—it effectively detangles and defrizzes damp hair in 10 seconds flat, so that it dries to glossy perfection. "I am a hair stylist and have access to so many products, but I will be ordering THIS product as soon as my sample runs out. I have fine hair and I like to curl it and add volume. 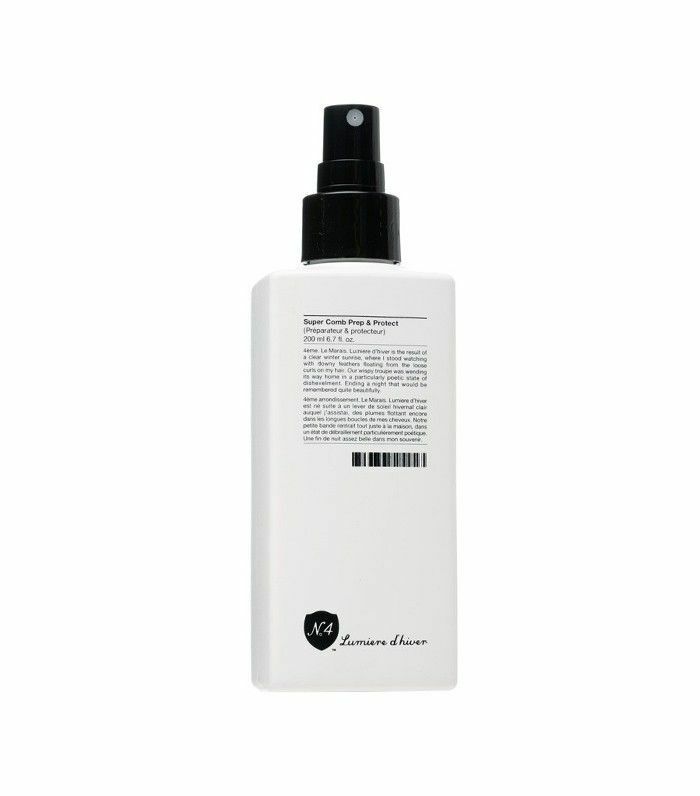 This spray is great because it gives you heat protection and makes your hair smell and feel great. I use 4-5 spritzes on damp hair and then use a volumizer at my roots. My hair is silky, not weighed down and smells amazing. I have also spritzed it onto my hands and scrunched into dry ends to refresh the scent on next day hair." "My hair gets really tangled after I shower and I've tried lots of detanglers and they always weigh my hair down. This is the first one that I've tried that I LOVE! It's so easy to brush my hair and when I dry it, it's so silky and shiny." Straw-like strands, begone: This leave-in conditioning mist will fight anything you or the world throws at your hair, whether its an addiction to your blow-dryer, a penchant for platinum blond, or too much time spent in the sun. 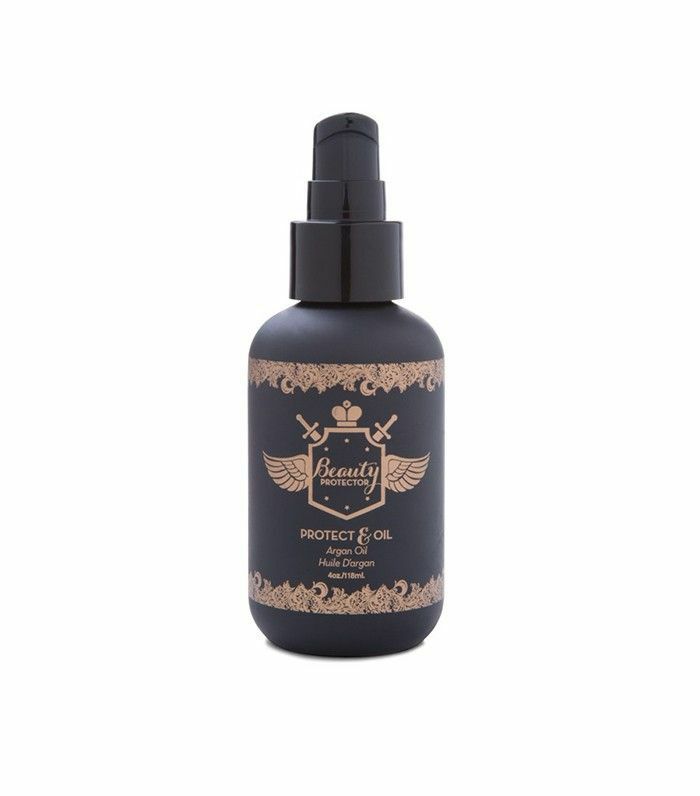 "I have naturally wavy hair and I sprayed this in my hair, plopped it and went to bed. I woke up with no frizz and soft waves. It was not heavy and smells nice." "This is a great product. With several different hair types in our home, this one seems to work great on each one." "I have really long straight hair. After my shower I sprayed this maybe 5 to 6 times on my scalp, then I massaged it all over. It really made it easier to comb through, leaves a nice smell behind. I typically don't use leave-in conditioners as they make my hair more oily. This one does not!" Your strands need SPF too, especially if they're color-processed. This all-in-one styling treatment strengthens and conditions your hair, all while offering protection from the sun, heat tools, and any other elements you might be exposed to. "It's hard to tell if it was the shampoo, conditioner, and treatment spray together, but the results are remarkable. Sample size on this is pretty good, multi used for sure. The smell is mesmerizing, and my hair was left so soft and manageable—it felt healthy even after flat-ironing." 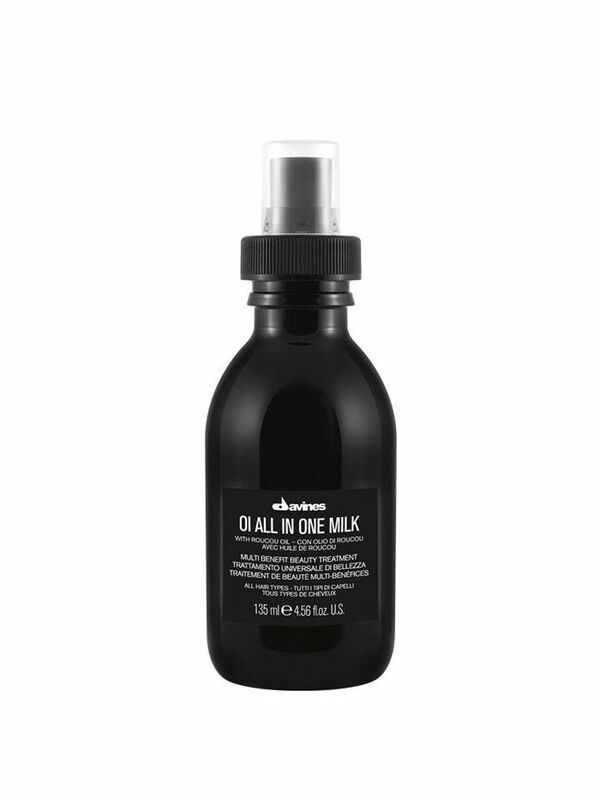 "I love Davine's All In One Milk. I've been looking for a leave-in treatment for after I get out of the shower and this one meets all of my needs without having any residue in my hair (which I often find for other leave-in treatments). Whether I blow dry my hair or just air dry it, my hair always feel silky smooth and soft. This product has definitely played a big part in that!" We're devoted to the art of multitasking here at Byrdie HQ, so we're obviously all about products that get more than one job done. Case in point: this lip and cheek stain, which layers on beautifully. The texture doesn't feel sticky on our cheeks but still feels substantial (read: not runny) on our lips—not an easy feat. "I LOVE this lip stain. It was nice to be able to throw it on in the morning, and not have to worry about it rubbing off during the day. It goes on smooth, feels light, and stays in place." 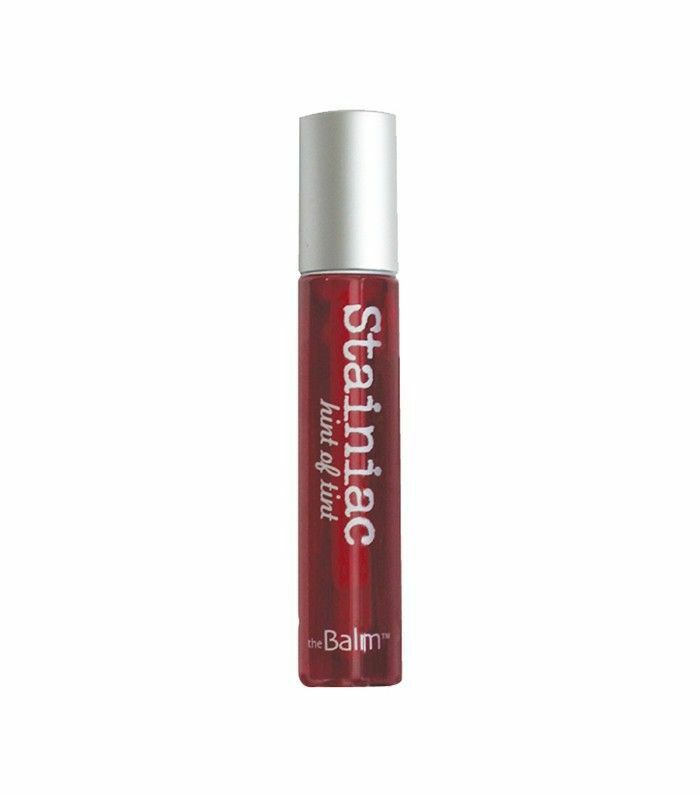 "I actually went on a trip with some girlfriends and one of my friends pulled out the same Stainiac, but funnily enough she ONLY uses it on her lips and I only use it on my cheeks! Love this stuff." "You only have to use a little and it lasts for a very long time. The color is great and when used minimally, give a very natural lip color look. I wore it throughout the day, eating and drinking, and the color stayed on the entire time." A non-greasy body lotion doesn't seem like a huge ask, yet we've certainly tried our fair share of sub-par formulas. Birchbox customers swear by this option specifically for this reason—it's lightweight and truly matte. Oh, and it's packed with soothing natural ingredients and smells delicious, too. "I absolutely loved this body butter! It smells amazing and it made my skin feel so soft." "I found this to be a really nice lotion for my dry, sensitive skin. I always use a body oil under my lotions in the winter, and I found that using the lavender lotion over my lavender body oil keeps my skin nice all day with no itching. I also notice it's improving my skin's firmness." This exfoliant was one of Birchbox's top five bestsellers of 2016, and for good reason: It actually rivals the results of professional microdermabrasion, with a much gentler touch. Papaya enzymes help chemically exfoliate your complexion and encourage cell turnover while microderm crystals buff your skin and even out skin tone. 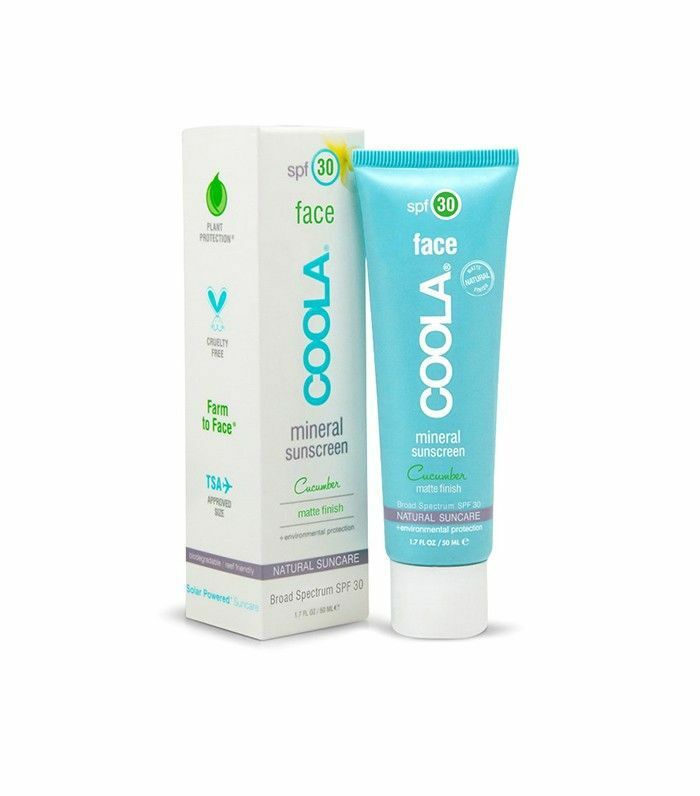 And no need for large sunglasses or scarves after using this stuff: Coconut, aloe vera, and vitamins help stave off redness and sensitivity. "My face felt so invigorated after washing with this product. I used it with my Clarisonic Mia and it was divine. Not too abrasive. Just the right amount of scrub. 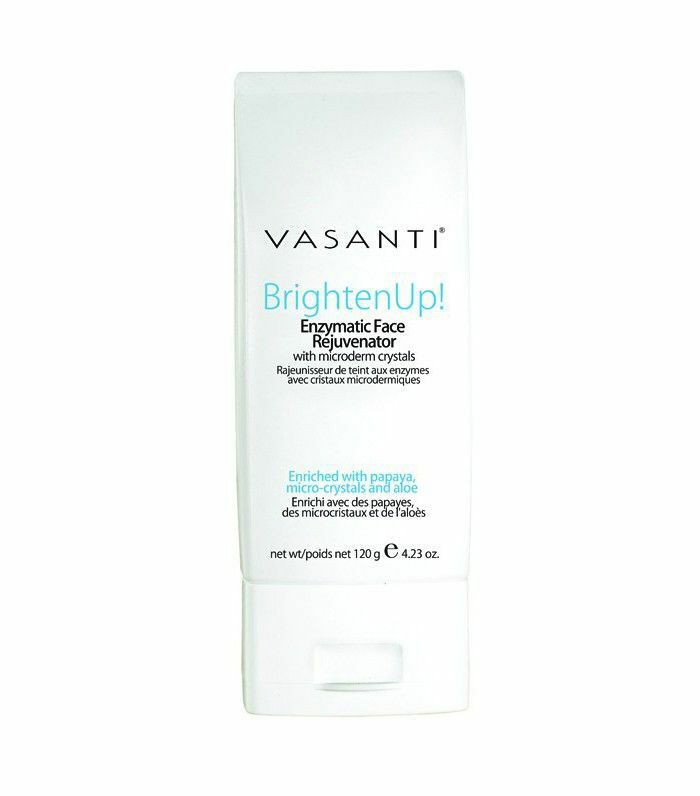 I have used a lot of products like this and this one seems to get it just right!" "I could tell a difference in my skin after one use! I have pretty sensitive skin and this doesn't irritate it. This stuff is amazing!" The original version of this post was published on February 18, 2016. Do you use any of these products already? Tell us your Birchbox favorites in the comments below!